a truthful account from a human sweet potato. 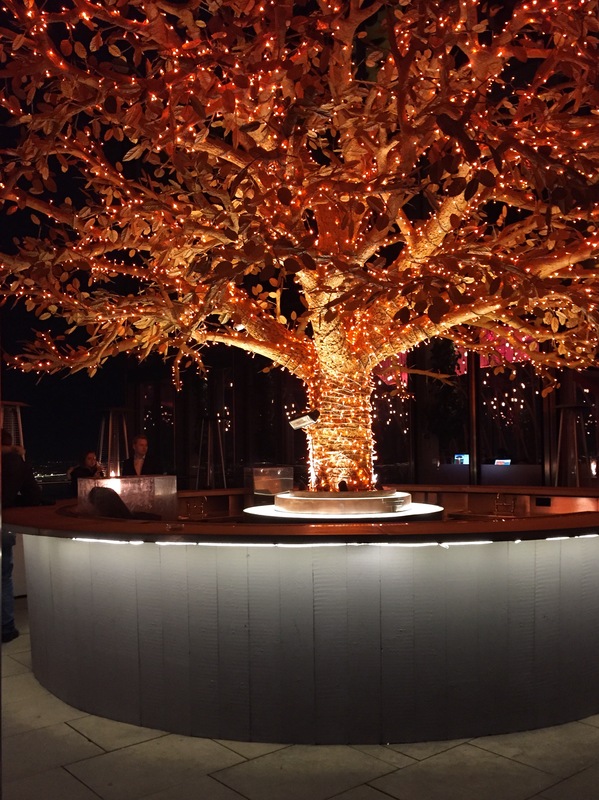 Sushi Samba definitely knows how to create a spectacular and welcoming ambience, I will definitely give them points for their décor and entrance style. The dimly lit restaurant and bar, with warm coloured lighting definitely sets a romantic mood to the establishment. This is all offset by the fact that I had booked a week in advance for a table and yet they managed to seat my mother and I at a table right by the entry point of the dining area where the foot traffic is at its highest point. The waiter who was servicing our table seemed overly preoccupied and therefore appeared very inattentive. He missed our order and pressed me to feel rushed and unwelcome. The only redeeming quality is that their sake selection, which I’ll admit is pretty damn good; from their hot carafe of sake (my mum’s choice of poison) to their sparkling sake (my personal favourite as I love the taste of sake that cuts into the sweet plum and peach notes in each sip). This was our main dish. The coconut milk was less of a milk consistency and more of a cream consistency, which made the entire dish incredibly rich and heavy. Normally that would not be an issue if the accompanying array of seafood was cooked just right…and not over-cooked, but unfortunately it was rubbery, tasteless and scarce. The rice was the best feature of the dish, and was even more flavourful when Japanese chili powder is sprinkled on top. The most expensive roll on the menu and incredibly disappointing. 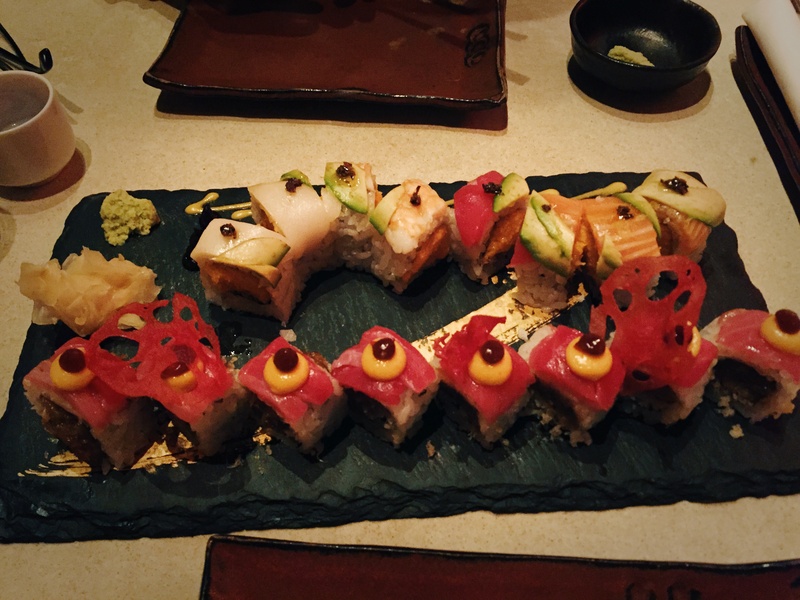 Each piece of seafood or meat was placed atop an individual roll of rice and aji panca sushi. How is anyone meant to share and taste the damn roll when there is only enough for one person to get a taste? Definitely a waste of money. I recommend choosing something else on the menu. Best choice. Seems to be the best roll from their selection. The combination of the diced soft centre, mixed in with the truffle was something I had never really tasted before. I would select several orders of this roll, along with a couple of cocktails or sake and call it a night. Surprisingly interesting, but not as tasty as I had anticipated. I did enjoy the combination of the soft insides and the crunchy tempura crunch. I would perhaps choose something else on the menu.